To try it for yourself, log onto The Laundry Magician here and use coupon code- FREE10 for $10 off your first order. 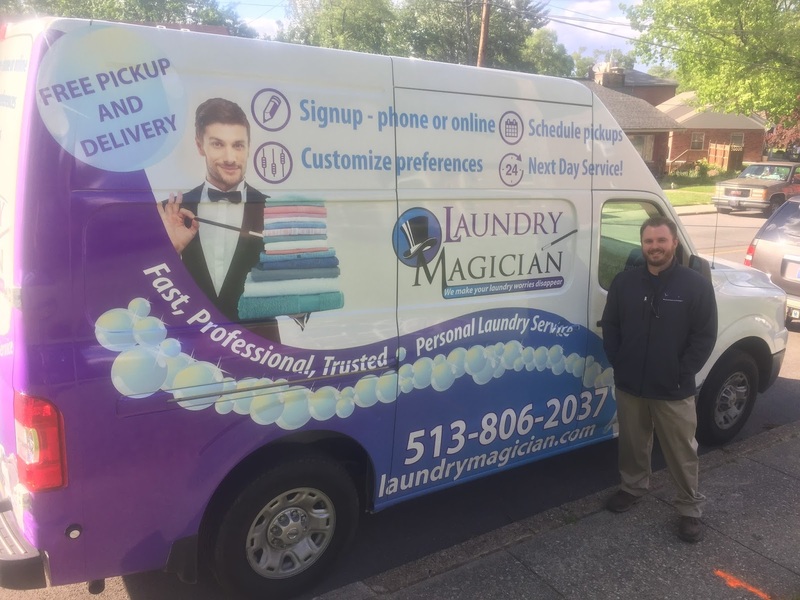 The Laundry Magician – Now Offering Eco-Friendly Dry Cleaning with Free Pickup and Next Day Delivery! Have you ever wished your laundry would just wash itself? My little family of four somehow produces what seems like five familys' dirty laundry in a week. The kids go through multiple outfits per day, as do my wife and I when they inevitably spill something on us, or accidentally color on us with a marker. “Doing the laundry” turns into this dark cloud that hovers over my wife and me, neither one of us wanting to look up and acknowledge it, for fear that we’ll actually have to start the process: gather laundry from around the different bedrooms, lug it to the basement, wash it, dry it, fold and hang it. It adds up to quite a bit of work, so I’ve definitely had the thought after a long and busy week, “there’s got to be a better way to do laundry”. Turns out, there is – and here in Cincinnati it’s called The Laundry Magician, and the process couldn’t be easier. You create an account on their website, follow the simple steps, and you’re ready. You set your preferences for detergent, softener, washer and dryer settings, you name it. They even have a section for special instructions – I used this to let them know where at my house they could pick up and drop off the clothes. Not long after signing up online, you get a confirmation call from a real, live person who makes sure all your questions are answered – any stress or worries you have about another person doing your laundry is quickly washed away. You can tell the folks at Laundry Magician care about the work they’re doing! The Laundry Magician also has a new service – Eco Friendly Dry Cleaning! I was pleased to find out that they are one of the only eco-friendly dry cleaners in the area, as they do not use the hazardous and smelly chemical that most dry cleaners still use. The Laundry Magician has been certified by the Green Cleaners Council because they use a biodegradable, non-toxic and odorless solvent. On top of helping me feel good about the impact the dry cleaning would have, just like the rest of the laundry, they will pick it up and return it the very next day! Traditional dry cleaners have always been a bother to me, as I have to remember to take the clothes with me in the car, work the drop off into my routine, then remember to pick it up again three or four days later. I’m not going to lie, it was a little weird at first to give my laundry to someone else, and trust them to pick it up and drop it off and keep everything together. But once we got our clothes back the next day, I realized I was worried about nothing! I wouldn’t hesitate to use the service again – especially during one of those crazy weeks where I just can’t seem to find the time to get to the laundry myself. The Laundry Magician cuts all the hassle out, picking it up from my house, and delivering it back the next day, looking (and smelling) great and hanging in my garage in protective bags. My wife and I couldn’t believe how easy it was, how fast it was, and how nicely our clothes were returned to us. My wife joked that the only thing they didn’t do was actually put the clothes away for us! Your dry cleaning clothes go into a green bag (normal laundry goes into a blue bag), you fill it up, and leave it for the Laundry Magician to pick up. The Laundry Magician will send you text or email updates throughout the process to remind you to set out your clothes, let you know when your clothes were picked up, and when they were dropped back off. 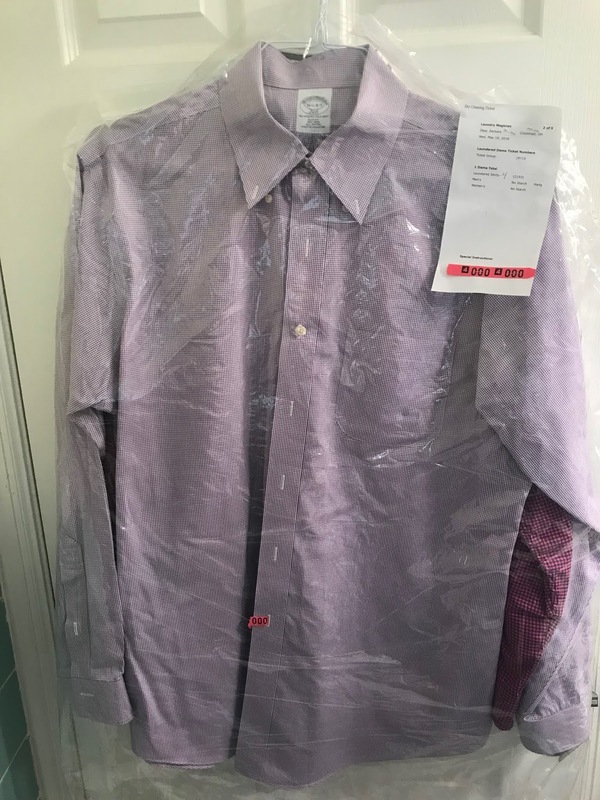 Through your online account you can specify if there are special instructions, like a certain garment that should be air-dryed or washed in a certain way. Your clothes are returned folded and hung according to your selected preferences. I loved that my dress shirts were so nicely pressed – when I wash them, I frequently have the cuffs or collar roll or fold in the dryer, which means I then have to iron them to have them presentable. However, with the Laundry Magician, my dress shirts all look perfect and can go straight into the closet! Blue Marble Books: Celebrating 39 Years!